You’ve likely heard that you need to eat fish. But do you know why? The answer lies hidden in the special type of fat found in the fatty layers of specific types of fish. This type of fat is one that we can only obtain from our diets. The fat is called omega 3 fatty acids. Specifically, we’re talking about EPA and DHA. These specialized fats are the gateway to health. They are considered “essential fatty acids” because our bodies cannot make them. Foods contain both omega 3 and omega 6 fats. Yet if you’re like many people, you can’t tell an omega 3 from an omega 6. Our guide is designed to lay out the differences for you and share with you which of these you should be getting more of in your diet. Fats, or triglycerides, are structurally made up of three fatty acids attached to a glycerol molecule backbone. The fatty acids are what make fats unique. They can differ by chain length, number of double bonds or location of those bonds. Saturated fats have no double bonds while unsaturated fats contain double bonds. These bond properties are what account for their unique characteristics. For example, saturated fats tend to be solids at room temperature while unsaturated fats are typically liquid at room temperature. Fats are important dietary sources of fuel for humans because once they are broken down by the body they yield high quantities of energy (9 calories per gram). Among their many functions, fats insulate the body against temperature changes, protect bones and vital organs and maintain cell membrane structures. What are the omega fats? The body needs fats and it can make all of them except two: omega 3 and omega 6. These are the essential fats that must be supplied by our diets or supplementation. Omega fats are a type of polyunsaturated fat. They’ve got multiple (“poly”) double bonds. Omega fats are also one of kind because of where their double bond is located. 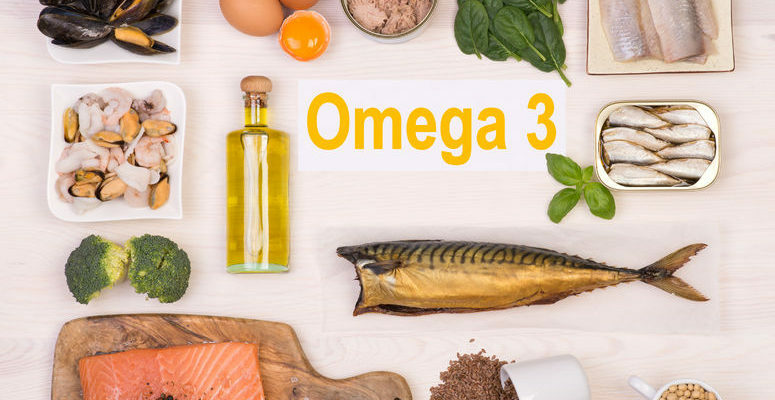 Omega 3, also known as Linolenic Acid, is considered the anti-inflammatory fat. The two types are: EPA (eicosapentaenoic acid) and DHA (docosahexaenoic acid). They are considered “marine omega 3 fats” as they only come from seafood. This is the most important omega for reducing cellular inflammation. It is also important for brain and cognitive function. It stimulates the activity of nervous system. DHA can also help with better mood, improved sleep and increased insulin sensitivity. DHA is concentrated in the brain, retina and the heart. Omega 3 fatty acids are found in seafood and fish. 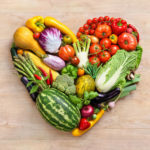 They have been shown to decrease blood pressure, reduce the risk of blood clots, protect against irregular heartbeats and decrease inflammation. They are considered “cardioprotective”. Conversely, omega 6, known as Linoleic acid, is pro-inflammatory. It is sourced from vegetable oils, seeds and nuts. 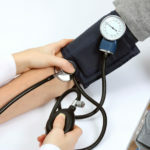 In excess, it can increase the chances of blood vessel constriction and clots. Today, most people are eating way too many omega 6’s and not enough omega 3’s. This is part of the reason the Western Diet has seriously detrimental effects on health. Omega fatty acids are considered essential fats. Our bodies don’t have the required enzymes to create these fats. They are “essential” because we must obtain enough of them in our diets to maintain health. They are not stored and used for energy like other fats. Rather, they are used for very important physiological reactions in the body such as regulating inflammation, heart health and brain function. If we don’t get sufficient amounts of these, health problems will result. Omega 3 fats are associated with brain, heart and other health benefits. What’s the ideal ratio for omega 3 to omega 6? Omega 6’s are important to health and survival. Omega 3’s are even more important. Our hunter-gatherer ancestors consumed a lot more omega 3’s than omega 6’s. The ideal ratio of omega-3 to omega-6 would be anywhere from 4:1 – 10:1. Yet today, people are eating a lot more processed seed and vegetable oils like soybean, canola, corn and cottonseed oils. Current average ratio of omega 6’s to omega 3’s in the American diet is 16:1. Very high amounts of omega 6’s are associated with higher levels of inflammation in the body. What are the health benefits of omega 3’s? These fats have been found to be protective against so many chronic diseases. This makes sense because at the root of all disease lies inflammation. Where do I get omega 3’s and omega 6’s? Algae often only contain DHA. You want both EPA and DHA. You can also get the plant form of omega 3 called Alpha Linolenic Acid (ALA) in nuts and flaxseeds. However, the body isn’t efficient at converting this form of omega 3 to the active, bioavailable forms of EPA and DHA. Animal sources remain the best option. Due to the Standard American Diet and lack of fish consumption, most people tend to be extremely low in omega 3 fats. Find a well-sourced fish oil supplement to include in your wellness routine. This ensures you are getting enough of the essential fats in your diet. Best ways to optimize your omega fat ratio? Avoid processed cooking oils such as corn, cottonseed or soybean oil. Instead, opt for heart-healthy cooking oils that are full of healthy fats. Eat wild-caught, fatty fish at least 2-3 times per week. Seafood is good for you and your heart. When in doubt, supplement. A quality fish oil supplement is one of the easiest ways to ensure you’re getting in your essential omega 3 fats and protecting your heart. Follow our ancestors and focus on a Paleo diet rich in the right types of fat. Fats are healthy for us. One of the most important fats is called an omega 3 fat. It is “essential” meaning our bodies cannot make this fat and we must obtain it from the diet. 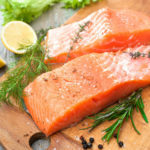 In order to boost your omega 3 intake, seek out foods like wild-caught fish and seafood. You may also need to a fish oil supplement. Consuming regular amounts of omega 3 fats is considered heart-healthy. 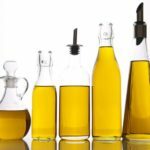 There is evidence that these unique fats can lower blood pressure, increase blood flow, normalize heart rhythms and even increase HDL levels.